Would you rather have a makeover or a do-over? "Poor LilyAnn," the local ladies lament. "She sure is stuck in the past." Eleven years ago, LilyAnn Bronte was the Peachy-Keen Queen of Blessings, Georgia�the prettiest, smartest, and most popular girl in town, going steady with the star quarterback, a high school career on the fast track to success. Then Randy Joe was killed in Iraq, and somehow LilyAnn just let herself go to seed. 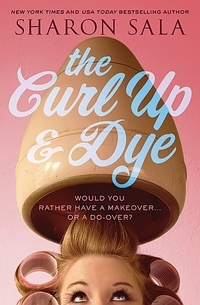 Ruby, Mabel Jean, Vera, and Vesta of the Curl Up and Dye have been itching to give LilyAnn a makeover, but she knows it would make more than a new hairstyle for her to get her life back. Until one fateful day, when a handsome stranger roars into town, and LilyAnn has a revelation.